The Mountain Land Physical Therapy Salem clinic provides physical therapy and rehabilitation services to the town of Salem and surrounding communities including Spanish Fork, Utah. At Mountain Land Physical Therapy of Santaquin, we strive to help our patients get back to full function. With a state-of- the-art facility and specialized equipment, our skilled therapists are here to help each patient get back to doing the things they love. We specialize in treating a wide variety of conditions including neck pain, back pain, foot pain, shoulder pain, knee pain, headaches, sprains, soft tissue injuries, running injuries and balance and weakness issues. I had such a great experience with Brad, as well as the whole staff, during my therapy. I was not only given great treatment that allowed me to heal quickly, but was also made to feel comfortable and encouraged. Thank you so much! Best experience I have had with any treatment in a long time! This is the best office that we have ever been to. We get the best care with the added benefit of friendship. The care and concern shown to us have kept us coming back even though we live closer to other facilities. Brad Horrocks and his staff are wonderful. From the first time I walked through door they made me feel like I was the only person in the room. You are aways their number one priority. Brad Horrocks and his staff are the most wonderful and caring people. … I would and will recommend them to anybody in need of physical therapy. I have been to a few different physical therapy office and I have to say that this one really took the time to figure out my problem and are working on it but also took the time to show me ways to prevent it from happening again. Brad and the staff at Mountain Land are true professionals. I would highly recommend them to anyone. Thank you! I have been to this facility for 3 different therapy recoveries and they have always treated me with the utmost respect and professionalism. Kae and Brad are amazing and I’ll refer everyone I know to this facility!!!! Their whole team was excellent and I could not have been treated better. Brad, Kae, Macade, Sarah, and Kyle were all very helpful as I went through therapy. I would totally recommend this place in fact I do all of the time! I love the atmosphere there and all the workers there!! I have been treated at this facility twice and my wife was treated here after knee replacement. We could not have been more satisfied. I’ve been seeing Brad and his staff on and off for the last three years due to complications with running. Brad’s expertise with Astym is unparalleled and really helped out my Achilles tendons. I love going here. Great people, Great office, Great physical therapy. They always take care of me. This is the most amazing place to have Physical Therapy. … I have been to a few other physical therapist, and I would recommend Mountain Land over all the others. I am so impressed with Mountain Land Physical Therapy. Brad Horrocks and his staff are very helpful. … Everyone in his office makes you feel comfortable and welcome. The entire staff seem to be able to make lifetime friends of their customers. I notice I feel better after each visit, both physically and my attitude is lifted. I wouldn’t think of going anywhere else for therapy. I’ve been going to this facility since it began in Santaquin and have recommended many family and friends over the last 10 years. What I thought was the best has kept getting better and better. Love this office and the staff. Kay is very good at her job and makes the insurance part a lot less painful. Brad is awesome and makes the patients feel comfortable. I appreciate the personal & professional feeling that you have when you go in for a treatment. Brad seems to know all of his patients on a personal basis and takes time to acknowledge them when they come in even if he is busy. They are great!!!! I would send friends and family to them without a second thought! Clayton, Zach and Kennedy are fantastic to be around. They are truly the best at what they do. Thank you guys for giving me a remarkable experience. Brad received his Bachelor’s degree from Brigham Young University in 2001 and his Master’s degree in physical therapy from Eastern Washington University in 2003. Brad believes in staying current with the latest techniques and has been a certified ASTYM provider since 2008. He became a Board Certified Orthopedic Specialist through the American Physical Therapy Association in 2014. Brad believes in a hands on approach to therapy with an emphasis on manual therapy, exercise and patient education. He also thinks that physical therapy should be fun and focused on goals that are meaningful to each patient. Brad loves the personal interactions with each patient and ensures that treatment sessions are as enjoyable as possible while delivering necessary care in a kind and compassionate manner. Brad is fluent in Spanish and enjoys being able to treat Spanish speaking patients in their native language. Chris graduated from San Diego State University in Sports Medicine and Athletic Training in 1989. She then became a Certified Athletic Trainer in 1991 and Physical Therapist Assistant in 1996. 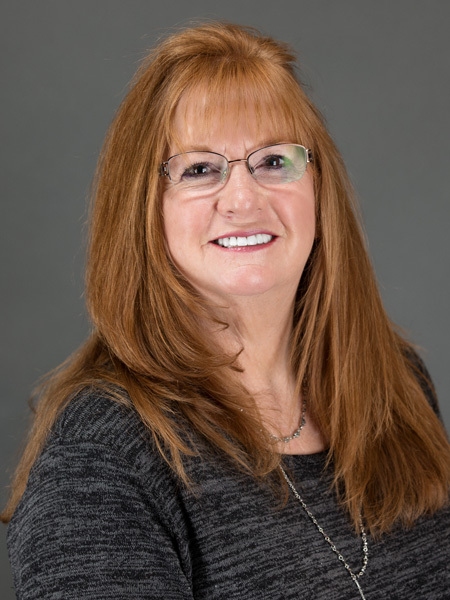 After more than 26 years of working as an athletic trainer, Chris retired her athletic training practice to focus her attention on being a Physical Therapist Assistant. 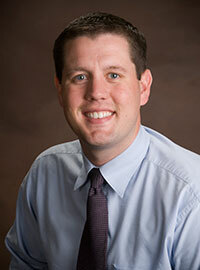 Chris specializes in ACL rehabilitation and other sports related injuries, including athletes’ throwing shoulder. She’s worked with athletes of all levels from city league, high school, college, professional, Olympics and even the weekend warriors. Chris works alongside the physical therapist to listen and understand their patients’ concerns, providing them the best plan of care so that they can get back to doing the things they love again. In her spare time, Chris loves watching and participating in sports. She enjoys watching her daughter compete in volleyball and softball, two sports that she also played in high school.